Review: What a great way to start a new series based on emergency workers in Australia. In this case, we have two coppers who are literally the only two cops in their small town. Needless to say, as the blurb was quite clear, one was there by choice and the other was sent as punishment. Gio and Jason may not like those circumstances but they have no choice but to work together, and try and trust one another. At the least, protect each other’s backs. Gio trusts no one. He did what was right, but turning in a cop, no matter the circumstance, puts a bullseye on his back. Jason wants to trust his new partner but he knows why Gio was sent to Richmond Station, and he must keep him at a distance to protect himself. Jason also is a widower with a ten year old son and he has no choices but to remain a little standoffish. He is never mean, but he does keep an eye on his back so that Gio can’t stab him in it, too. Gio made me sad. His story slowly unfolds and you realize that he is the victim in all of this and it just isn’t fair. But, he also realizes that being a cop is all he’s ever wanted to do and so he has no choice but to keep his head down, his nose clean, and try to ignore the cop bullies intent on tormenting him. 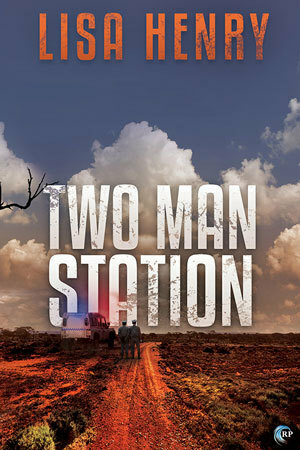 Even though he is hours away from the city, and stuck in a small two-man station country town, they still have a long reach. Reading this book was very refreshing, if not a little frustrating. Sandra, the police station office worker and sometime babysitter to Jason’s son was quite annoying. Her character just rang a bit over the top for me. But the slow burn, slow to friendship, and even slower to lovers was written in such a way that it just rang true for me. I understood both Gio’s and Jason’s concerns and I knew that they needed to learn to trust before love would ever enter the picture. Even though I am not a major fan of kids in my book, this is a case where Jason’s son was pivotal to the entire storyline and never once detracted from the growing attraction between Gio and Jason. I am really glad this is a new series and I am looking forward to seeing what’s up next. If a lot of Aussie lingo is not a deal breaker for you, I highly recommend this book.